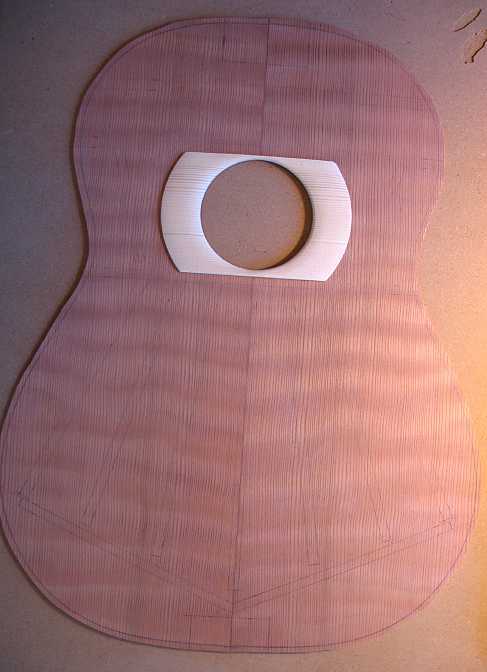 Today I cut the soundhole, routing through both the top and the soundhole reinforcement "donut". Then I spent a couple of hours or so cutting out my braces for the top. 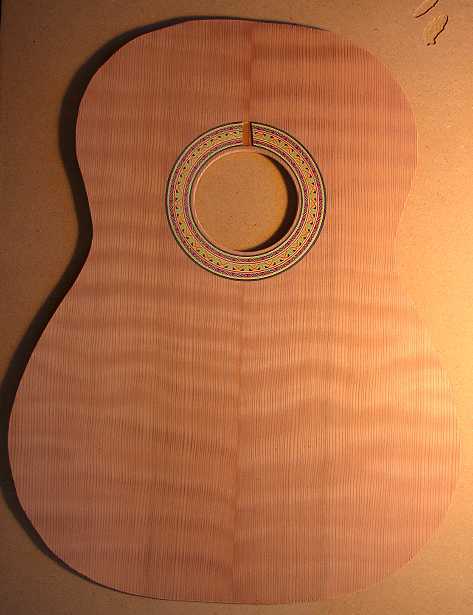 I'm using Adirondack spruce for the bracing. Here is the basic layout for the braces. The Torres plan I have didn't call for a bridge pad, but I'm going to put one in anyway. After scouring the Web (mainly the MIMF and Official Luthiers Forum sites), I finally decided how to go about bracing my classical. 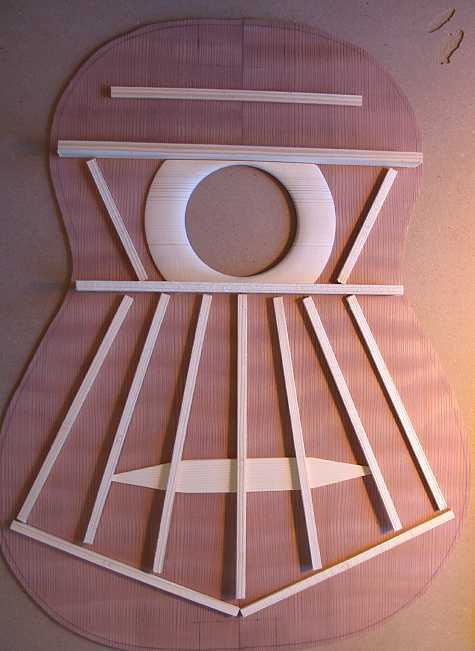 I will use the 25' radius dish for the bracing from the cross brace just below the soundhole on down, and will glue the braces above that flat. 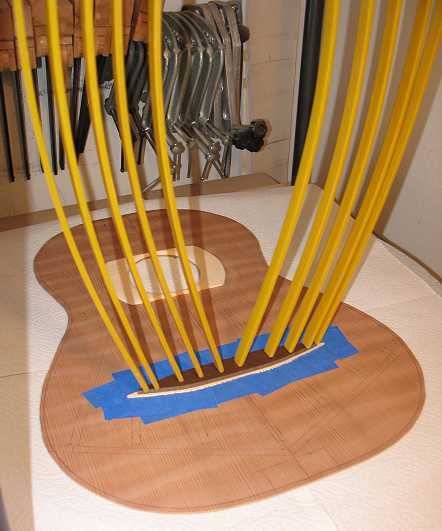 I will use my 15' radius dish for gluing on the back braces.